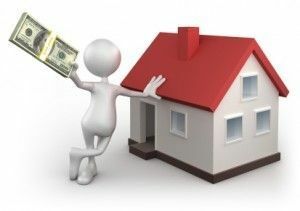 Save Thousands AND receive full service and representation when you sell your home with us! Professional photography with 25 photos. Supra lockbox for secure hassle-free agent showings. HD 1080p Home Video Tour. Multiple Listing Service (MLS) exposure with photograph and detailed description of property. Online advertising on major realty websites for wide, local and national exposure. Market evaluation and consultation with seller to set sales price. ShowingTime to schedule appointments directly with you when showing your home. Feedback via email on showings, allowing you to better assess your home and make any necessary adjustments. Make sure inspection, option period, financing and closing are accomplished during the time frame of contract. Negotiate repairs by buyer after option period. Intermediary handling of contract and funds with escrow agent (title company). Assuring all terms of contract including time frames are complied with. Follow up with buyers lender to ensure financing is in place. Assisting with preparation of documentation relevant to the sale of the property. Monitoring inspections, re-inspections, agreements between buyer and seller as to repairs needed and assurance of compliance with all agreements prior to closing. Save money and receive full top flight service with Equity First Realty®.